Tucson Airport Authority (TAA) Maintenance Facility and Warehouse provides a home base for Tucson Airport’s personnel who maintain the airfields’ runways and other facilities. 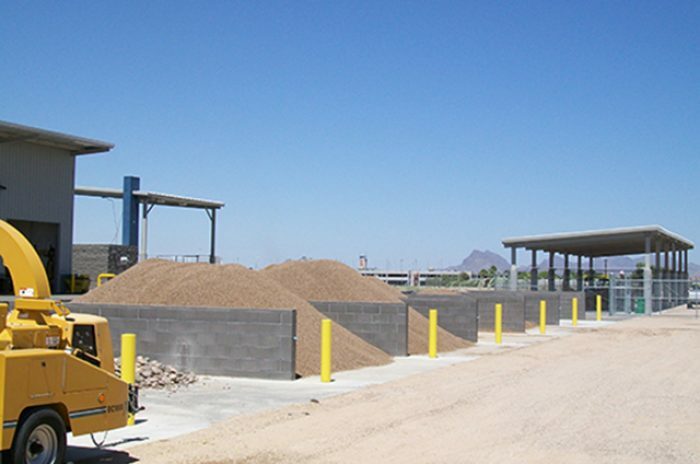 The secured compound has shade structures for TAA vehicles and equipment, material storage bins, vehicle wash bays, and a contained landscape chemical mixing space all located around the maintenance building for easy access and shared use. 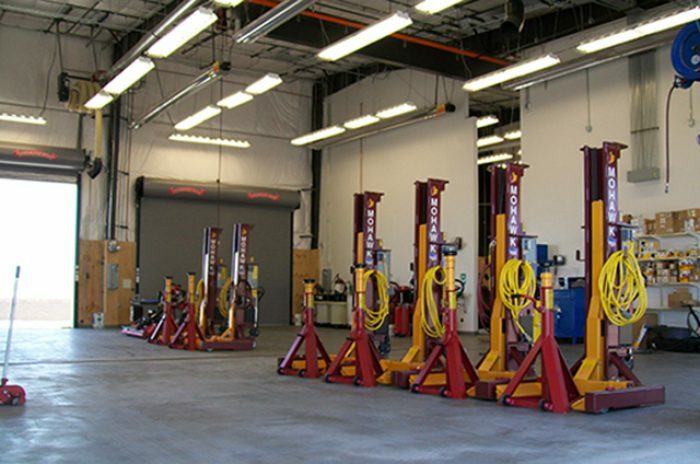 The Maintenance building gracefully combines the Landscape, Field Maintenance, HVAC, Electric, Welding, and Paint and Auto Shop under one roof, taking into account the future expansion needs of the site. 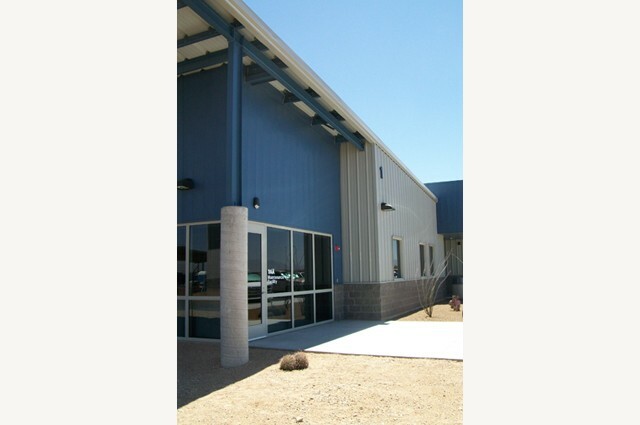 The Warehouse and Archive is a separate building providing TAA a functional and efficient storage facility. 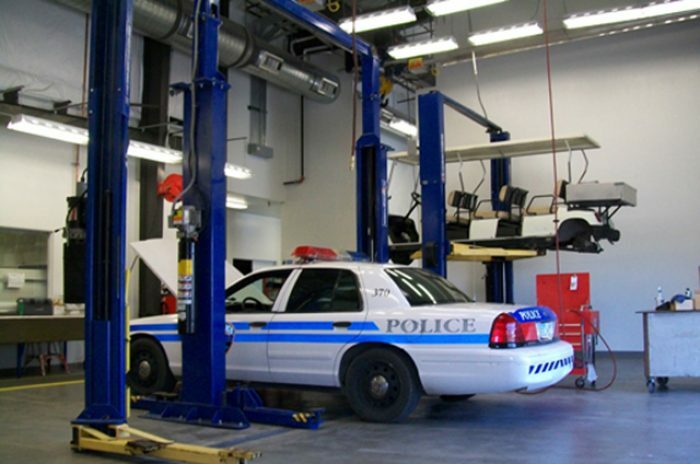 Through hands-on design approach, the TAA Maintenance Facility and Warehouse is a cost effective design solution that provides a comfortable and functional space for the multiple TAA user groups and visitors. Security of TAA personnel and equipment, vehicle circulation and shared common spaces were some of the primary objectives that influenced the design and layout of this facility. 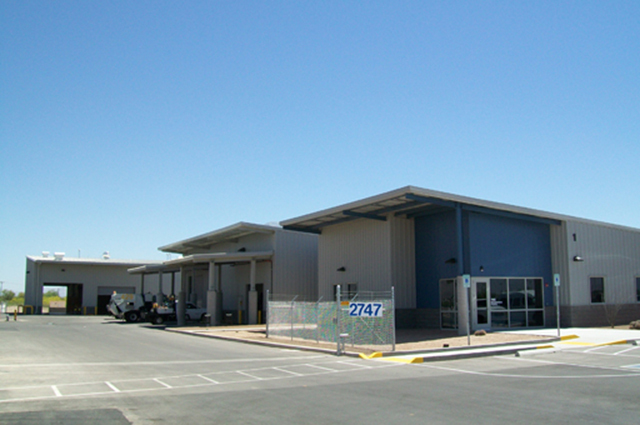 The TAA Maintenance Facility and Warehouse built within budget, is a state of the art modern compound that exceeds TAA’s expectations.